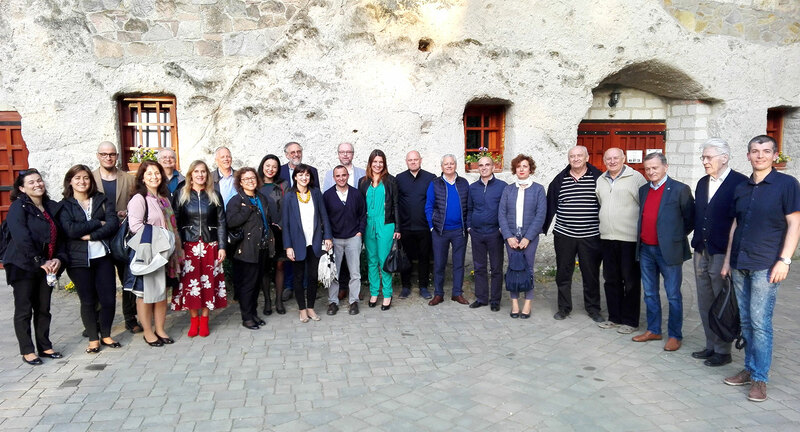 During May 8th and 9th HKIK hosted the 6th project meeting in Eger, where participated the project partners’ representing Sectoral Organisation in the field of Welding, VET Providers and Regulatory Bodies from Portugal Spain, Norway and Hungary. The objective of the reunion was focused on the evaluation of the final results regarding the pilot activities which took place in all countries in the framework of the project. The focus also went on the starting of the revision process for the primary results - European Welder Practitioner (EWP) Learning Outcomes (LOs)Standard and the Recognition of Prior Learning (RPL) Guideline. Furthermore, were defined next actions regarding the completion of tasks and deliverables, namely related to translations and upcoming events (Roundtables session for validation of developed Training and RPL tools and project European Final Conference). Finally, partners discussed the exploitation of the project outcomes to guarantee its sustainability after its ending period in October 2018. For two day the consortium took the main decision towards the completion of the EWP LOs Standard, Pedagogical Kit of trainers, as well as the RPL Guideline and tools. At this stage, the pilot training activities are completed, and all project partners will undertake final improvements. The main decision taken addressed the organisation of roundtable sessions in each country to validate results and translations activities. The project European Final Conference will be held by EWF, project coordinator, on 31st October 2018 in Oeiras, Portugal.